“You Know Nothing John Dough” is the name and who better to open it than the real-life Hot Pie – actor Ben Hawkey from the HBO hit series (and our favorite show on television) Game of Thrones. Hot Pie recently made a rare appearance in the latest episode of GoT doing what he does best, giving Arya Stark the scoop on what’s happening in and around Westeros, while also feeding her (of course). Now, Hot Pie is feeding Londoners with his new London-based bakery that operates via delivery service Deliveroo. 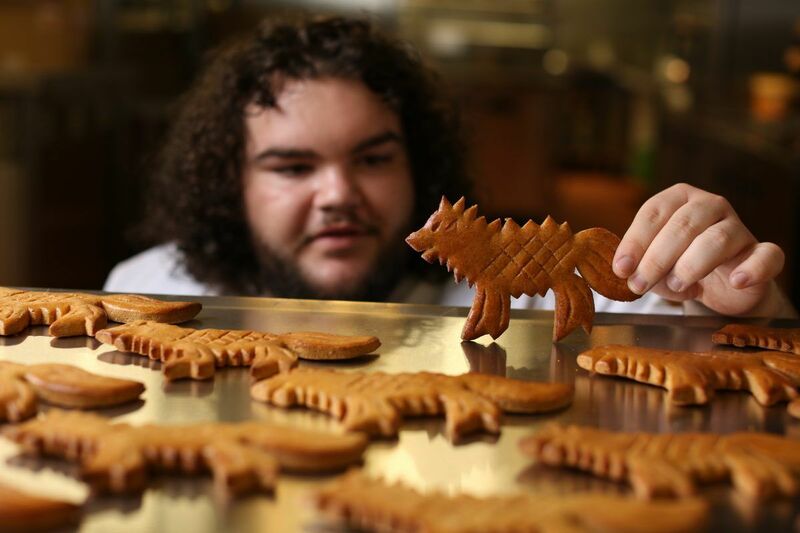 He’s serving up his famous Direwolf loaves which can be ordered for a mere $1.30 each and delivered straight to your door. According to Deliveroo the loaves are made from whole wheat cornbread with orange zest and, per Deliveroo’s instructions, are best served slightly warm with soft butter. Hawkey insists, “People are always asking me for the secret of my recipe.I can’t share that, but Deliveroo customers will have the chance to try them themselves. You don’t even need to take a dangerous walk down the King’s Road to visit, it comes to you.” Now is your chance London, don’t miss out! Keep doing your thing Hot Pie, and please try your hardest to stay alive in that harsh, harsh world known as the Seven Kingdoms.